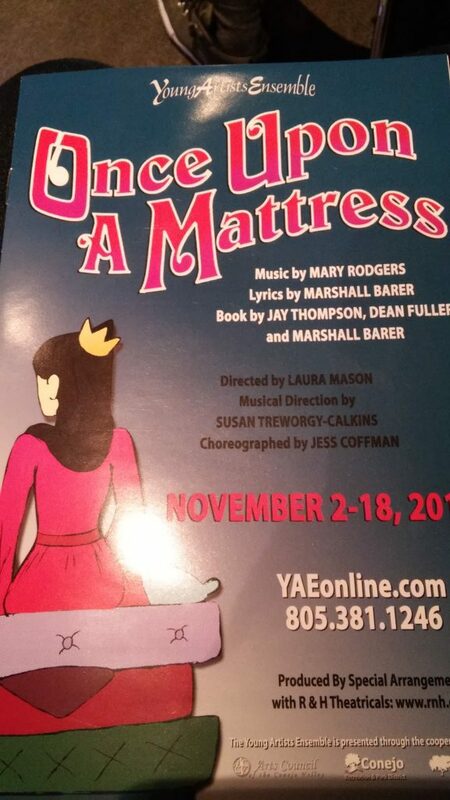 From November 2 to November 18, The Young Artists Ensemble performed the musical “Once Upon A Mattress” in Thousand Oaks. I saw the performance on the 16th, and I was thoroughly entertained the entire time. It was funny and happy at the right times, and serious when it needed to be, which is what made it fun to watch. The musical started with a fantasy setting; an interesting kingdom that was ruled by a quiet king, an obnoxious queen, and their son, a charming prince named Prince Dauntless. Right from the start, it is obvious that this family is not quite an average one. In fact, their dynamic is flawed. I felt sorry for the prince and king because they both had to put up with the antics of the queen. She became unreasonably frustrated over small, simple things. The queen repeatedly insists that Dauntless needs a princess to marry, but it can’t just be any princess. All of the princesses that want to marry Dauntless have to pass a special but challenging test written by the queen. 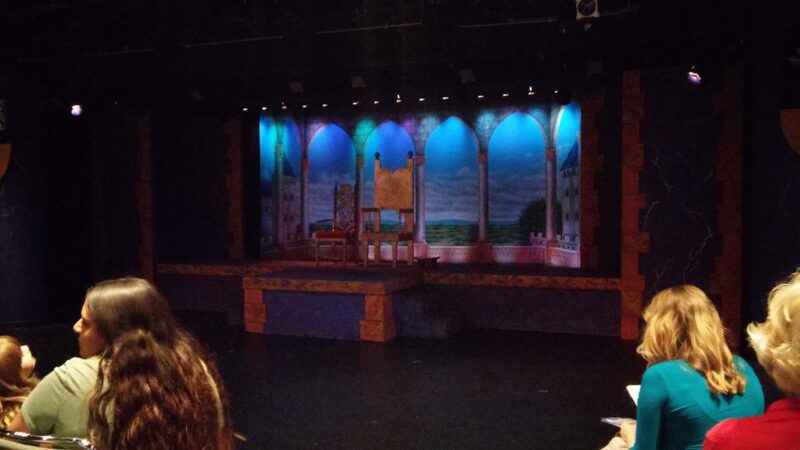 The set of Once Upon a Mattress. 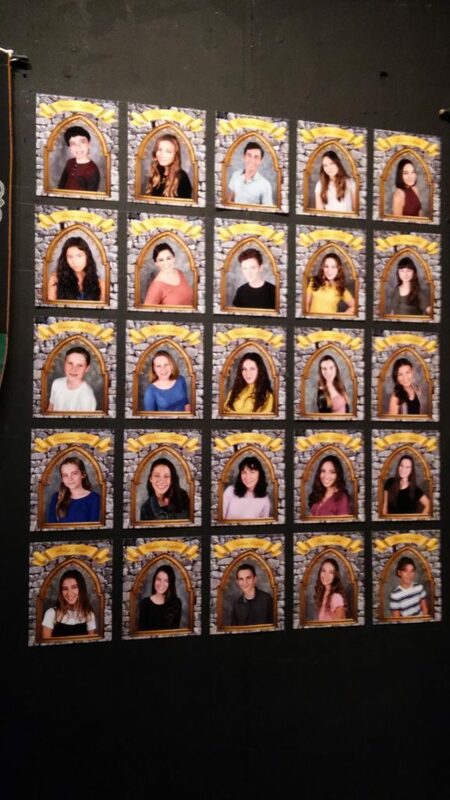 The entire cast of Once Upon a Mattress.